Learn more about Alexander McQueen on the Plus Dragon fashion scales. 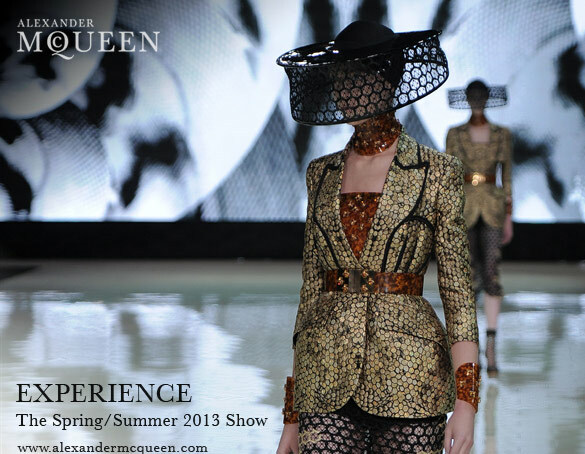 View the Alexander McQueen Spring Summer 2013 Runway Show. This entry was posted in Fashion Blog, Fashion Designers, Fashion Events, Fashion Week and tagged Alexander McQueen, Spring Summer 2013, SS13. Bookmark the permalink.